Today, I have an incredibly fun new toy to tell you about. I recently had the privilege of trying out the 3M™ Mobile Projector, and I give it an enthusiastic five stars! This small, mobile projector allows you to watch YouTube videos, movies via iTunes, slideshow photos, TV content, presentations and more from your iPhone, iPad or iTouch. It even works with your PC with the purchase of an additional cable. To work the projector, all you have to do is pull up the content you want to watch on your device and then plug in the 3M Mobile Projector to your device, then hit play. It is seriously that simple. 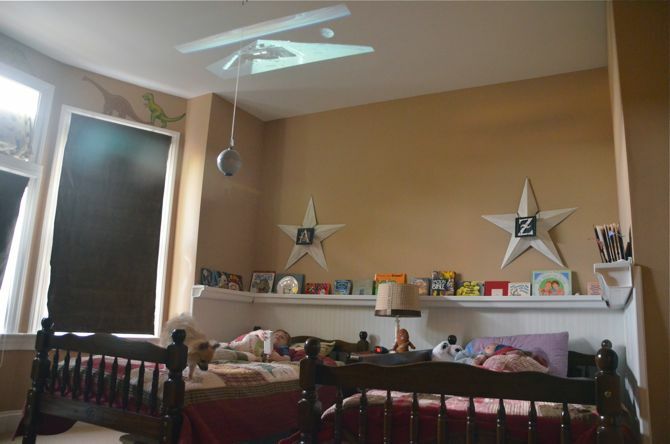 In the picture below you can see my boys are watching “Star Wars” on their ceiling. The projector does not need to be held and can stand on its own or with a tripod; however, Asher insisted on “controlling” the experience. My boys are so excited to use our 3M Mobile Projector this summer! Camping, slumber parties, and family movie nights just became that much more fun. If your kiddos (or husband, ahem) are into gaming, the projector will connect to DVD and gaming consoles with an additional 3M Composite Cable. With the right cable, you can also project angry birds from your phone right onto your wall! Keep it in mind for Father’s Day, ladies. I took the photo below of the “screen” while next to Asher in bed. We are a one TV household (gasp!) so watching movies in bed on a large screen is a real treat! Once the boys were in bed, it was the adults’ turn to play with the new toy! Matt and I headed outdoors and watched an episode of Modern Family in our backyard on a sheet! What a fun mid-week date night. If you are now wanting a 3M Mobile Projector for yourself, they are available at Target. You can learn more, find special offers and purchase yours by clicking here. We have a big screen TV (not huge though) in the basement and every Friday night we do family movie night. We order from Netflix, pop popcorn, the kids get to choose either a soda or some candy and we watch as a family. I love love love having holiday movie nights with my hubby! I especially love this around Halloween. We will sit down and watch “The Great Pumpkin” and “Bugs Bunny Halloween Special” and just laugh and have a great time eating candy we shouldn’t eat and reminiscing about when we were kids. FUN! We like to make homemade pizza, turn all the lights off except one low light and pretend we’re at the Theater but with good food! We like to crowd each other on the couch and eat popcorn. We snuggle on the couch and eat popcorn! We love making a really big family dinner, usually everybody helps out in their own way. Then we all get in our spots with cozy blankets and settle in for the movie. Simple, but it never gets old! Family movie night is just me and the cats now that all the children are adults with their own homes. I think it would be great fun to have a neighborhood movie night in the back yard. we usually order pizza delivery and Eskimo Pie and rent a dvd. half the time it seems to involve vampires movies. we like to have popcorn or some snacks like pizza or Mexican bites. always hard to choose a movie. We usually rent movies on Saturday night and then buy candy and pop popcorn. We all put on our sweats and grab our pillows and blankets and claim a spot on the floor or couch. We usually have a pizza for dinner picnic on the living room floor for our family movie night. We have movie night with popcorn and sodas! A movie on in the background while we play a card game and munch on popcorn! We love just getting to spend that time together. I am looking for a portable projector with the ability to display split screen from two different inputs. I currently have a casio xja246 that can do this through the wireless display capability, but I need to be connected to the internet through wifi while using the projector, so wireless connection isn’t an option. Choosing a movie everyone loves and turning the lights off and snuggling on the sofa under a big fluffy blanket!. I also like to make my movie snack mix (popcorn & M&M’s mixed together) Thanks so much! So great for our upcoming movie night bday party in July!!! make popcorn, stay up late and pile up on the couch. We like to have lots of good snacks and keep the lights off. This looks so cool! Movies nights are always better with pj’s and popcorn!! This seems super cool… I would love to win! we love popcorn and pajamas for movies! Since receiving my iPad for our wedding anniversary movie night with the kids has taken on a new meaning ! We all curl up in our bed and watch something on Netflix or we rent from iTunes . What a treat to surprise the kids with a movie on the wall ! Movie Night for me: Pizza with my hubby curled up on the couch with our dog. my favorite way to do family movie night is to relax in the living room with the family and eat popcorn and drink what ever we want and watch a movie. We watch movies on hdtv with xbox streaming. I like how portable the projector is, would be nice to watch movies in the yard on a warm night. Thanks for the review and giveaway. We order pizza, pop popcorn, and watch a Redbox movie. with popcorn, pizza and lots of laughs- oh and usually a pillow fight! My favorite way to do family movie night is to make some homemade popcorn with various flavors such as caramel, white cheddar and classic butter and watch movies on Netflix. We are also a 1 TV family, so this would be so much fun for my 3 kids to snuggle in bed with us and watch a movie on the wall or ceiling! It is just my husband and I now… we will sometimes do movie night on Saturday! we have a nice comfy sofa recliner, so we are laid back.. nice and relaxed. we might even have some popcorn. We’re fortunate to have a real drive-in in our city! Can’t beat the $10/carload weekend deal for a triple-feature either! Family movie night is me and hubby cuddled up on the couch! I would love to be able to watch them outside though!! I love watching movies snuggled up on my couch. Good option for watching movies outdoors! Movie night finds us with feet up on the coffee table and fresh-baked dessert and coffee in hand. So relaxing! Our movie night consist of snuggling up under the blankets at night so the room is completely dark, while munching on freshly popped popcorn with m&ms. Yum! Looks like a lot of fun. My husband would love this new gadget. My family consists of me, the boyfriend and the kitties… I love curling up in bed and watching movies on a rainy afternoon! We like to take turns choosing the movie dinner and snacks! We like to pack a picnic and go to the outdoor movies in the park. It would be fun to play our own at home in the backyard! We haven’t been doing family movie night but I’d love to get started now that the kids are getting bigger! The projector looks so cool! I would love a Target gift card! Would love the chance to get that for my hubby for fathers day ! With a bunch of yummy snacks! Holy cow! I love that little guy! Our favorite family nights happen at my brother’s house where we lay in the backyard and watch a late night movie on his huge inflatable screen. The problem with that is we have now moved out of state. Oh, and we can’t afford a huge inflatable screen. So glad to see this projector is great as many of the ones used by people we know haven’s received good reviews. We like to snuggle up on the sofa with some blankets and are usually watching Veggie Tales,Winnie-the -Pooh,or Thomas. I’m so thankful my sweet boy still loves sweet innocent movies. In fact Diesel on Thomas is a bit scary for him so we have to fass forward on occassion. Pillows, blankets, popcorn, and our giant St. Bernard make up our family movie nights. This projector is just about the coolest ever! Love the idea of taking it outside. Movie night would be fun, and totally unique for my family, if we took this to our cabin and strung a sheet up between two large redwood trees. Add a little bonfire, some hot chocolate and smokes, blankets and lounge chairs, and we’ll be all relaxed! Movie night for us is on Friday and includes lots of popcorn, candy, blankets and snuggling. I love it! This is really cool – – love watching on the ceiling! So cool!! Love this and would be a great father’s day gift! Our version of family movie night first starts with voting on what movie we will watch (usually an action/adventure movie, we have boys!) and then ordering pizza to enjoy while watching the movie! My husband and I love doing movie night at home with some kind of snack, usually popcorn, and a couple glasses of wine! Oh, and of course in our PJ’s! Lots of throw pillows piled on the floor and plenty of popcorn for everyone! This would be so much fun to do by the firepit. Family movie night is best with loved ones, tasty snacks and a funny movie! Almost every night is a movie night for my husband – he loves movies, especially old ones. This new device sounds awesome! I was just thinking of doing a backyard movie night with friends & this would come in so handy! My hubby has always wanted a projector. This is cool! I would love to have a neighborhood movie night in our backyard! It would be cool to hook it up to the x-box so my son and his friends could play on a big screen! Looks fun! I would love to have a neighborhood block party and BBQ and play a movie for the kids in my backyard! HOW FUN! I soooo wanna snuggle up with my babies and watch a movie on our deck! What a cool thing! How fun! Superhero movies from Netflix or Redbox, and lots of snuggling with puppies! We love family movie night with our five year old son. His favorite part is our popcorn-popper popcorn! I love making popcorn, turning down the lights, and cuddling on the couch to watch a movie. Ohmyword, what an amazing giveaway! Thanks for the opportunity to win! We go to the drive-in almost every weekend in the summer. Would love to have one with are second grandchild due soon. So we can have movie night on the side of the barn. We have movie night cuddled up on the couch with the lights off. We can’t wait to invite our friends over for summer movies!! We love family movie nights with air popped popcorn (with butter, of course!)! We do family movie night in our cozy basement and my hubby makes real popcorn on the stove top (no microwave popcorn for us!) What a cool projector! We have a small little room but my husband is big into sound system so we have that going plus our “buttkicker” which rumbles during all the action sequences! I love watching movies with him during the weekend! Snuggled on the couch with my hubby and our puppies. So perfect! My family loves to eat popcorn in our jammies on movie night. Family movie night involves clearing the furniture and throwing out the air mattresses, buttered popcorn with m&m’s and comfy pjs all around! Family movie night sounds like a great idea! We could project on our garage door I think!! Friday nights – curled up on the couch with some popcorn and a bottle of wine for my husband and me! Best way to watch a movie! How fun is that! I love the backyard movie on a sheet idea. my daughter’s favorite time is when we cuddle up on our comfy couch with hot cocoa (even in the summer) and watch a movie with her mommy and daddy. I love it! For us, family movie night usually consists of checking out a video from the library, popping popcorn, and piling together on one couch (until somebody starts fussing!) and watching! Wow I love this!!! What fun for kiddos! What fun it will be to have neighborhood movie nights, the kids will LOVE it! This would be awesome. 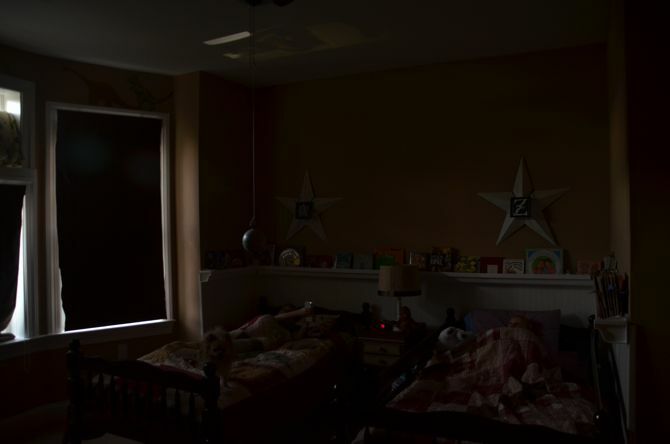 I love your pic of the kids in bed watching on the ceiling. I think it would be fun to have a campout in the basement and watch on the ceiling! my kiddos love it when we open the sofa bed and cuddle with TONS of blankets and popcorn. Our family movie night, everyone climbs into our bed to snuggle, eat popcorn and watch a movie. Basically: cocoa, popcorn and a blanket big enough to cover us all. My son and I choose a movie on Netflix or grab a movie from Redbox on Friday nights. We make pizza and popcorn!! My Grandaughter would love this! This past weekend we went garage saling, bought several new movies. Our movie times these days are with her. We cuddle up on the couch, but how fun would it be to have a bunch of friends over for a movie night in the back yard under the stars! We make homemade pizza and watch movies from the library. My favorite way to do family night is to rent movies from Netflix, make popcorn and sit with the family and watch movies. Each of us gets to choose a movie once a month — since there are four of us! We love movies. We have family movie night every friday. This projector would make it even more fun. Family movie night is our favorite! We make a bag of popcorn and cuddle on the couch with the kids. Thanks for the chance to win! we love popping our own popcorn to enjoy while watching a movie squished together on the couch. We go buy popcorn @ the movie theater. Then come put our pj’s on and watch as many flicks as we can! I love having movie night with my hubby after we tuck in our 4 year old. Our girls are both under 5, so family movie night is usually Veggie Tales, Dora the Explorer, or some Disney movie…they’re just not old enough for “real-life” TV, lol. We did a special Valentines day however; I set up a Valentines Day fort, we watched “Lady and the Tramp,” and ate spaghetti dinner. It was great. Wow! My husband has been dying to set up a projector in the den ever since we moved into this house. What a fun toy! What a great product! Thanks so much for a chance to win! Oh my gosh! I’d love one of those projectors, last year I dug an old roll up screen out of my neighbors garbage, one of those projectors would be perfect! And you know I love Target, remember I hunted you down at the one in Utah?! Ha ha. we like to get a kid friendly movie so the kids can enjoy it as well. we get lots of snacks and treats. Love the idea of outdoor movies with the family!!!! I hope I win! lots of popcorn, candy and maybe a glass of wine! So fun! I’d love to win the projector!! Family movie night is best spent with our kids, on the couch, and snuggled up close under a cozy blanket! We usually borrow a projector and watch in our carport with our neighbors. We love making pizza and watching the newest animated movie for family movie night! With a 16 month old, our family movie night also serve as a date night. But I love the idea of a projector to watch movies outside! Fun movie time! We host a movie night each summer at our block party and that projector would come in handy! Family night movies happen on our new sectional and flat screen 🙂 and popcorn of course. BUT I would definitely hook up a projector if I had one! This is so cool! My girls would LOVE this on family movie night! it’s just me and my husband now but we love to get a good romantic comedy and eat either snocaps or haagen daas chocolate chocolate chip ice cream! We love to get in our pajamas and share a bowl of popcorn on the couch. We do family movie nights regularly……with popcorn, lights off and cuddled up on the couch! Having a 3 M mobile projector would be so fantastic to move it outside!!!!! I would love to show a movie on the garage door and invite all the cousins! We love a good movie night, or watching our favorite, Castle on ABC. What a fabulous gift card$, with a little one on the way we could have lots of fun! We moved to the country last year and watching movies outside would be too cool! 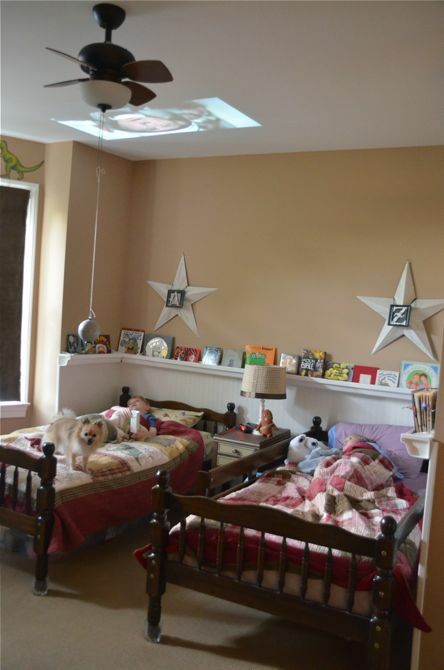 I would love love love this projector! Our favorite way to do movie night is to pull the mattress off our bed and drag it out to the living room floor. It’s feels a little like we are camping out in the living room and we can snuggle on the comfortable mattress and watch a movie! Family movie nights in the warm weather (before it’s too hot!) mean getting the neighborhood together, bringing the tv and popcorn outside and blankets in the yard! We’ve thought about a projector – but it’s outside the budget right now. Our TV’s been a traveler! Any time and place we have movie night with my family is my favorite! As long as we are all together life is good! How fun! Cute idea about watching a movie on a nice evening outside. Great giveaway! We haven’t had a family film night in ages! I guess it’s time to start a family tradition; sounds like lots of fun. We would love this! Movie nights usually include myself, hubby, and the kid all cuddled on the sofa with a big bowl of popcorn. My kids would absolutely LOVE this!! I like to make themed snacks to go along with whatever movie we are watching. Beth, your boys look like they’re having a ball….wish my kids were little again, I loved movie night,blankies and popcorn…. can you believe it, we’ve never had a family movie night yet!!! i would love to try this out for our very first one! Love family movie night – sitting on the sofa eating popcorn together! Family night here is when everybody piles into our den. They bring their own pillows and throws. I supply a mountain of junk food and sugary drinks. There is always a lot of “shh shh be quiet” type shushing going on during the movie~♥ Love it! Great review! 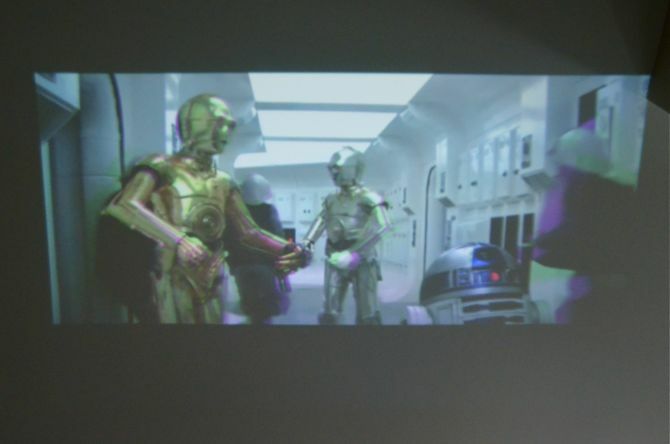 I hadn’t heard of the 3M Mobile projector…looks like a fun twist on watching movies! Family movie nights in our home are usually in our tiny living room with my hubby and I snuggled on the couch, 2 teen girls sprawled across the floor with the dogs and some air popped corn. that thing is awesome. technology never ceases to impress. thanks for the chance to win! Aww glad A and Z enjoyed that experience. I would love to have one to gift my grandchildren with. Thanks Beth. We snuggle up and watch a movie from Redbox… until the kids get squirrelly and lose their attention span. We have a large shop on our property and I would LOVE to show a “sit in” movie to my kids. They would think that is wonderful! What a neat idea! Every Friday night is Movie night and we all snuggle up on the couch under blankets with all the lights off! We love this time together. Tom always falls asleep, but that is o.k. We are all together! I am so intrigued with this new gadget. My favorite family movie night experience is getting all the pillows and sleeping bags in front of our living room TV, selecting a feature from our NetFlix Queue, and asking my husband to make a big pot of homemade oil popped popcorn. I had never heard of this product before. Looks ultra-cool. Whether I win the contest or not, it is definitely on my radar now as a “want”. Thanks! We would love to sit by the pool at night and watch a movie and now it’s possible with this cool toy! I would love to have movie nights at my house for my whole family. I love having family get togethers. too cool! Would love one of these and the idea of the backyard movie – would be way fun! Family movie night includes a bowl of popcorn and all of us on the couch. It’s just a really great way for us to spend time together as a family. Family movie night is a fun adventure for my kiddos…My hubby picks the movie & starts the coffee..lol. My girlies get snacks that fit the movie theme…always a great time. Family Movie Night is usually very simple and relaxing. Easy supper followed by movie and a fun dessert. We either have game night or movie night in our pjs with our pillows, my son brings in his blanket and a stuffie too. We usually watch either a Disney flick or Star Wars with popcorn and my five year olds favorite snack – cheerios. Thanks! on the ceiling is so smart! we can’t wait to have movie night in our basement, since we’ve outfitted it with a projector and drop down screen! if only this whole thing wasn’t taking forever. yeesh. This would most definitely be the best way to do family movie night–we currently just huddle around the big screen and munch on popcorn! Family Movie Night – we go to the drive ins with our jammies on and buy popcorn and soda and just enjoy the great weather and movie on the huge screen. How cool would this be to take camping, or for those summer nights in the back yard under the stars watching a family movie. Family night is always fun with games. We have some cool backyard games that we play on the wii. I especially love darts! I have a jacked up shoulder so in order to hit the bullseye I have to aim at the 3 and I get it EVERY.SINGLE.TIME! Cracks us all up!!! My husband, the gadget king of Southeast Kansas, would love this item. NEED it for Father’s Day. Thanks for the chance. We spend movie nights in our ‘theatre room’ basement in our comfy, reclining leather chairs and our 3D TV! Makes you feel like you’re right at the movies! Our fav family movie night is a pizza dinner in front of the TV. We even break out the TV tray tables. It has a 70s sort of vibe. 🙂 The kids think it’s such a treat to eat and watch a movie at the same time. I love the idea of a neighborhood, ‘walk-in’ theater in the back yard though. We can’t have a family movie night without treats! So we usually make some cookies, top it with some ice cream, and enjoy! My girls love making a comfy bed on the floor with lots of blankets and pillows, too! This is amazing! 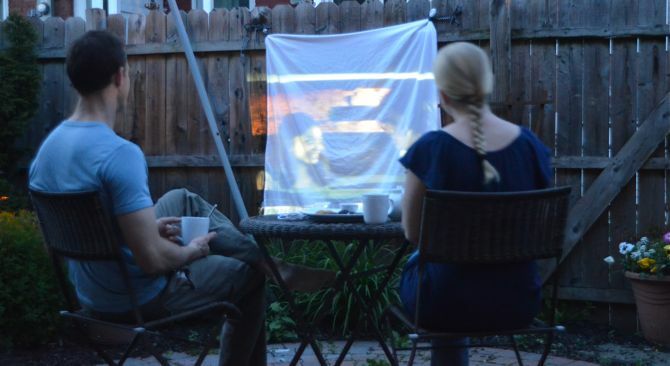 My husband and I were just talking last night about how much fun it would be to do movie night out in the backyard with a projector and a white sheet! We currently do movie night on Friday nights with our kids on the TV in the living room. We haven’t done it much yet, but when we do, it’s usually curled up on the couch (with me falling asleep). When we have family movie night- we all pile up together on the cough, make different flavored pop corns and always have some sweets to snack on! I am head over heels in love with the idea of family movie night in our backyard. Fingers crossed that I win the giftcard! Saturday nights are for cuddling on the couch with a great family friendly movie. We are working our way through the Harry Potter series now. I love relaxing with popcorn and a movie on Sunday nights! Movie night for us in on the couch in pj’s with blankets + popcorn! We order pizza and set up tv trays in the den EVERY SINGLE SUNDAY night. The girls get to alternate weeks to choose the movie. Last night was Ella Enchanted. Then sometimes, on Friday nights, we feed the girls early and put them to bed and the hubs and I have Steak Date Night. Family movie night is just my husband, me and the dogs on our lovely couch with a bowl of popcorn! The only time I have watched an outdoor movie was WATCHING the movie the Wedding Planner. Would love to try this in our new AZ home with the grandkids!! We huddle up on the couch and floor, (there are 6 of us) and pop popcorn! Family movie night is best at home, with pizza and all snuggled on the big sectional. But an outdoor movie night with this projector – that would be awesome! We’re pretty old fashioned. I pop some popcorn and then we all cuddle up on the couch in front of one of our family favorites (usually something by Pixar). It is getting extremely difficult to find time for movie night with 6 kids ranging from 1 yr to 16. We love to watch American Idol together and each holiday we have at least one “favorite” that is a must. (Christmas Vacation…need I say more?) I hope to enjoy many more “movie nights” with my family and really appreciate the opportunity to win. A family movie night is fun spent at my sister’s house who has a theater room that feels just like the theater with comfy seating & popcorn!